SteemWatch 0.5.0 Is Deployed! Real-time Event Stream Is Online! SteemWatch is the notification center for Steemit.com that anybody can sign up to. Today I am happy to announce that I deployed version 0.5.0 into production. As usual, you can find details on GitHub, but let me introduce the major addition here as well. I added a new section to the webapp, Event Stream, which you can just open and watch your customized event feed being streamed into the browser. The same user-defined filter as for Slack applies. The stream features auto-reconnect right now, so in case there are any issues, it will try to auto-reconnect automatically. All event kind supported for Slack are supported in this feed as well. The event stream implementation is pretty simple, without any history, buffering and such. I will try to improve this to make the feed more handy. Adding desktop notifications would be also cool. But really, for now I just want to make the event stream more robust and handy. As usual, any support is greatly appreciated. SteemWatch is a free service for now. 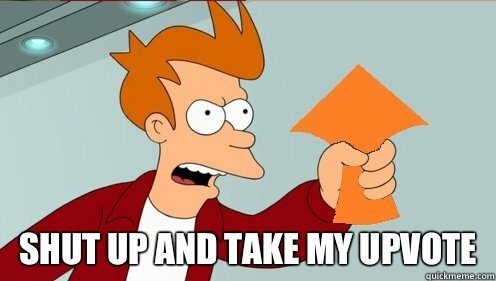 You can just upvote this post, or donate my effort directly if you feel like doing so. In any case, have fun with SteemWatch, I hope that you like the improvements! Of course, there are some issues just now that I publish the release :-) Let me fix the issues ASAP. Ok, it's a bug in go-steem/rpc, let me fix it. I'll be honest, I'm a bit turned off that I have to sign up to participate. I'm one of those people that don't like to sign up for anything unless I absolutely have to. Is there any chance this could work without signing up? Are there any technical limitations preventing this that could be overcome? You have to sign up so that you can create your personalised event filter. And no, I am not going to provide any unfiltered event stream. There are too many events happening on the blockchain anyway and it would be a waste of bandwidth, to stream everything into the browser or something. I tried google sign up but it gave me internal server error, signed up with facebook and it's currently stuck at loading screen. Understandable. Thanks for the explanation! Do I have to put @ in front of the name or not? Yeah, sorry, that is probably not documented properly. Great, time to stalk some whales. Kinda like how killer whales hunt. But less gruesome more just stalker like. All these analytical tools for users is welcome news and a sign of a growing user base that wants to contribute to the success of the platform. Woohoo! Real time event stream, just what I was waiting for. Thanks a bunch for everything, @void. Can't wait for the desktop notifications! Not you or your post, sorry it was late last night. The stupid comments that pop up in my feed on legitimate posts. Am I missing something ? I would love to have notifications through slack ! Steem Slack was disabled, it is not being used any more. People moved to https://steemit.chat and I am working on the notifier for that right now. Before that is ready please use https://steemwatch.com/eventstream as a temporary solution. Ok, thank you for replying, I'll do that. any update on a rocket.chat webhook for steem notifications? i am using rocket.chat on my own website and having steem in there would be great. very cool, hopefully it will help me to become more familiar with this environment. Thank you for your effort and Blessed BE! could anyone read my original work? its called alex fieldstone and the burning book i posted the first chapter on steemit. i would love some feedback!